Congratulations! You are the proud creator of a first draft. Now it is time to revise. In the simplest terms, revision is the act of rethinking and rewriting. Revision focuses on the development of content and clarity of ideas, NOT so much on writing conventions. As you revise for development of ideas, remember the ARMS acronym: Add, Remove, Move, and Substitute. 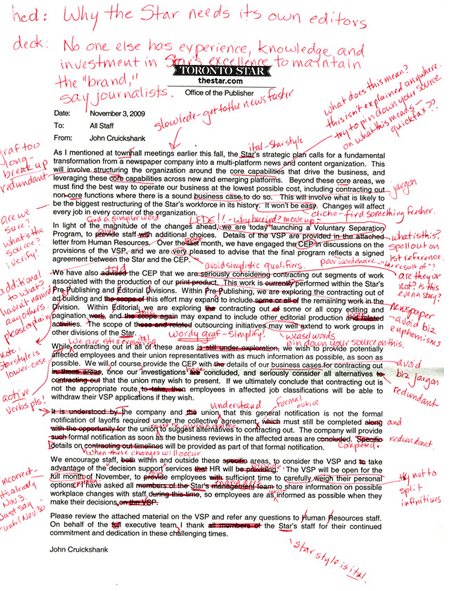 Once you have revised by adding content, removing irrelevancies and redundancies, and relocated ideas for cohesion, it is time to revise for sentence clarity. The tutorial below covers five strategies that greatly improve any piece of writing. CLICK to access tutorial, courtesy of the University of Scranton.